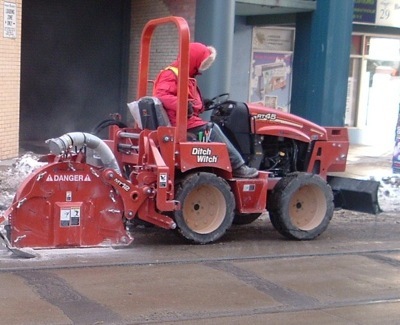 The Ditch Witch Microtrencher RT45. 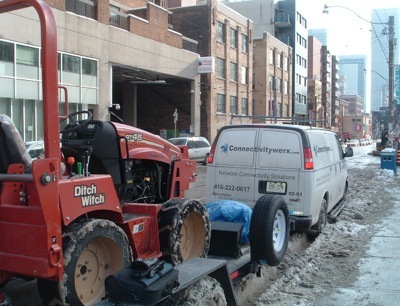 In 2010 Connectivitywerx purchased a Ditch Witch micro trencher that has been specifically developed by Ditch Witch for micro trenching. 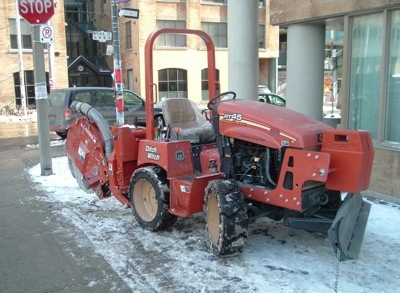 It is the first production unit out of the United States factory. 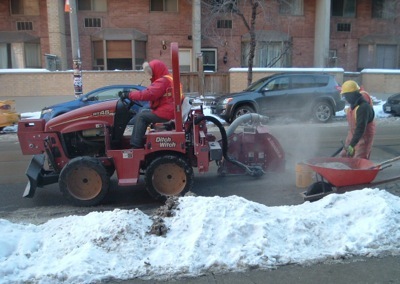 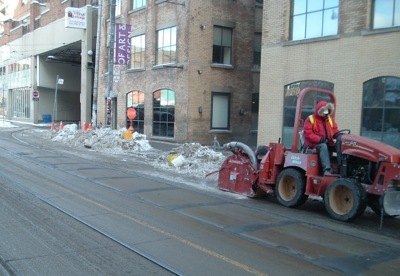 Microtrencher at work. 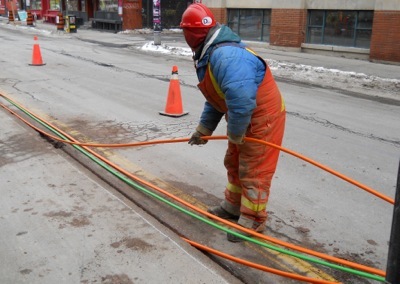 One of the reasons we selected the Ditch Witch trencher is that it enables us to use the dry cut method of trenching and build fibre networks year round. 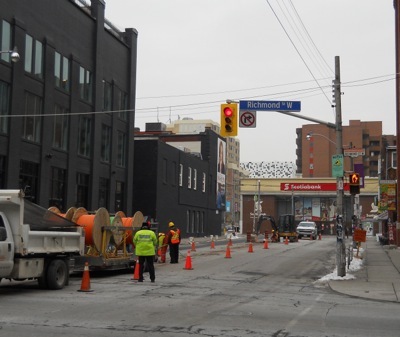 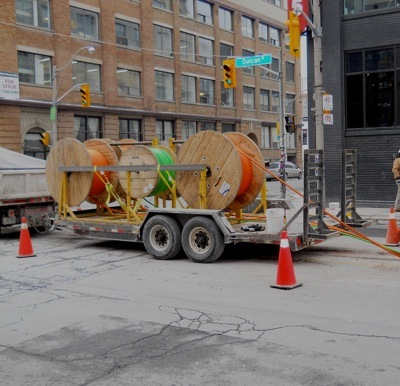 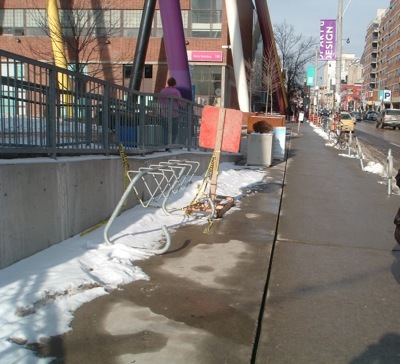 In fact the OCAD U network was installed during January and February of this year when the temperature in Toronto reached about -35 Degrees Celsius. 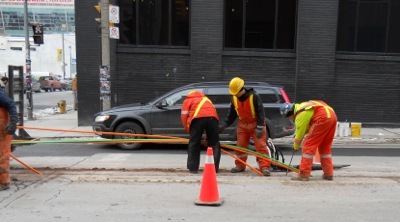 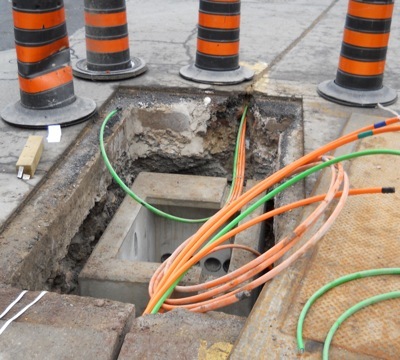 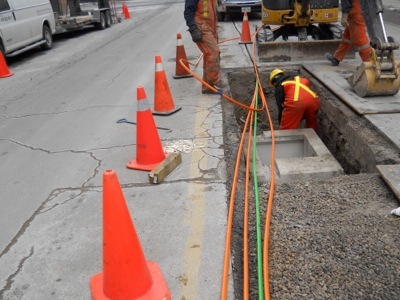 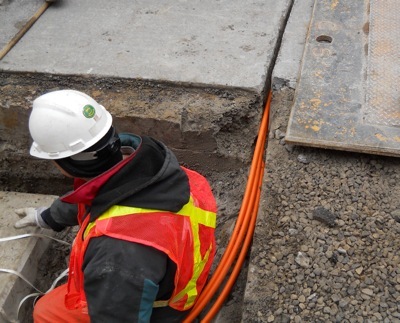 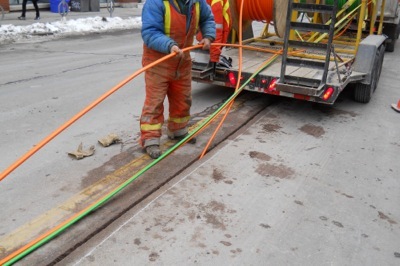 The fibres are installed in a micro trench that is 12 inches deep by 1.25 inches wide. 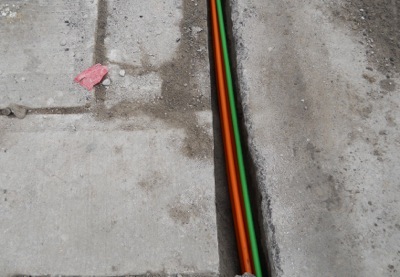 The road composition is a combination of concrete base and asphalt surface to a total of 12 inches. 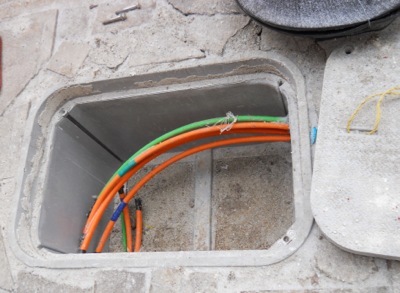 Ducting prepared for installation. 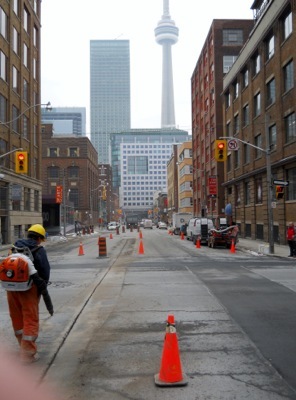 The micro ducts in the OCAD U installation are supplied by Lite Access Technologies Inc. of Vancouver, British Columbia, Canada. 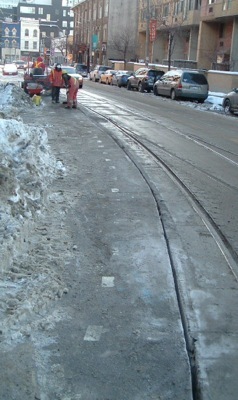 Close-up of ducts in the trench. 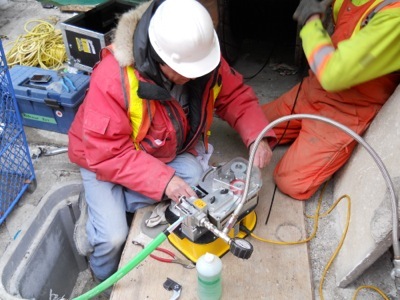 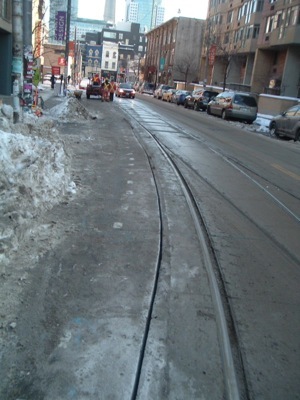 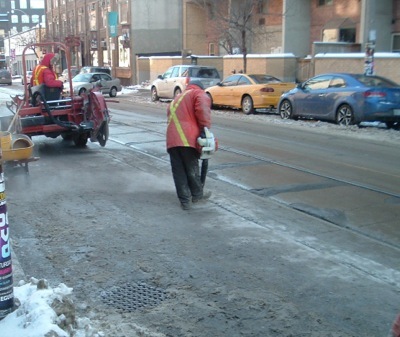 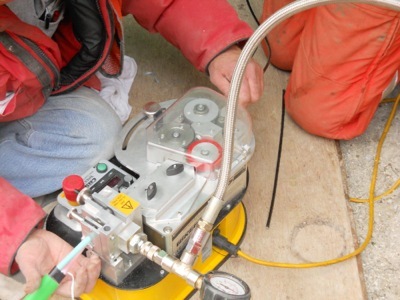 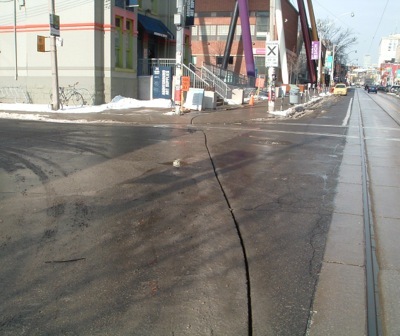 The restoration method used to seal the trench was developed by Connectivitywerx utilizing a selected list of the best commercially available products. 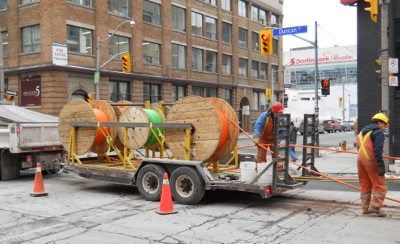 We are continually working to improve our deployment methods not only to achieve higher quality levels in the fibre network but also to speed up the installation time interval. 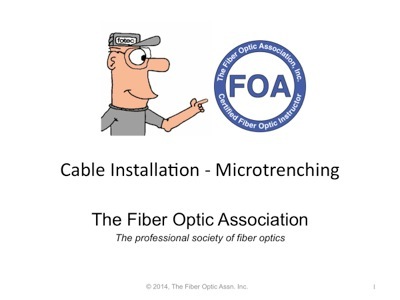 For more information on fiber optics, go to the FOA website, including our Online Guide with about 1000 pages of technical information and YouTube where we have over 80 instructional videos. 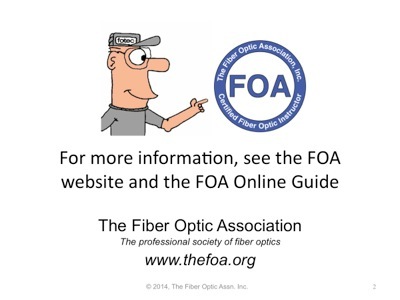 For free online self-study programs, see Fiber U.